The author was very unhappy as a young teenager and wanted to change in multiple ways. He experimented with just about everything, eventually discovering two things. One the most important positive quality that allows all others to exist is happiness. Two what actually works to become happier. Now at 18 he is very happy and succeeding in multiple endeavors. 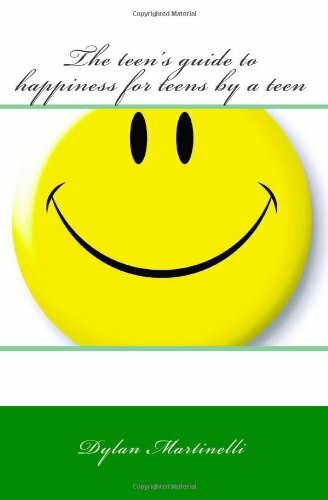 This book shares the mindsets and techniques that actually work to increase the happiness and thereby all other positive emotions of a teenager. There is nothing in this book meant to take up space or that sounds good in theory everything contained has been used and works. Dylan Martinelli is 18 and wrote the majority of the book while still seventeen.